Burger King: BOGO Whoppers – Starts Today! 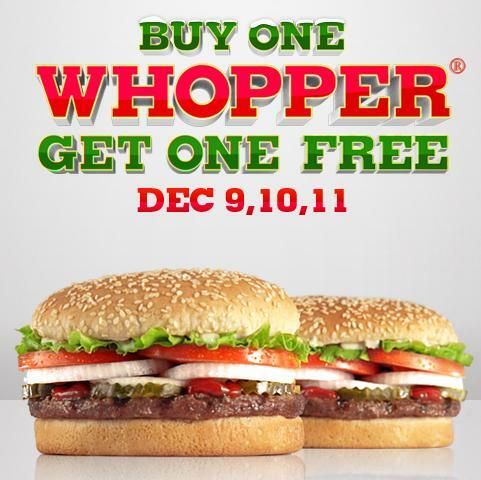 On December 9, 10, 11 Burger King is offering BOGO Free Whoppers! No coupon needed! You can also head over to their Facebook page for a chance to win prizes!